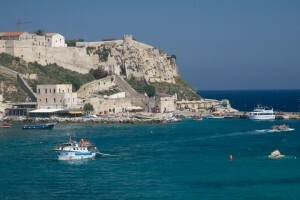 Expedia.com’s Canadian website, Expedia.ca, has compiled a list of “European ‘Hidden Gems’ for 2014” that features Lecce, the city in southern Puglia that is frequently called “the Florence of the South.” The list features destinations that let travelers save money on European travel while exploring some lesser-visited destinations. Click here to read the complete list. Here’s an opportunity for potential visitors to sample a “day” in Puglia and, hopefully, plan a vacation in the region. A 2014 European road show featuring a 250-square-meter replica of a typical village in Puglia will make its debut in Vienna from April 11 to 21. 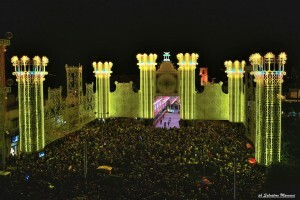 According to La Gazzetta del Mezzogiorno, the display is designed to let visitors experience the “smells, sounds, tastes, music and traditions of Puglia.” The event is being organized by the Region of Puglia Ministry for Mediterranean Affairs, Culture and Tourism via Pugliapromozione, the regional tourism agency. The road show is also scheduled to visit Berlin (Sony Center, April 28 to May 6) and Munich (Olympiapark, May 15 to 24); London (South Bank, June 6 to 15); Paris (Gare Montparnasse, June 21 to 30); and Dublin (George’s Dock, July 6 to 15). On view for the first time in America ‒ A collection of rarely seen art, artifacts and photographs along with an historical documentary film, all centering on the culture and civilizations of Puglia in southern Italy. • When: Exhibit opens Saturday, April 5, 2014, at 2 P.M. and will be on view through June 7, 2014. • What: Images of historical re-enactments of ancient customs and traditions, local festivals, patron saints, authentic handcrafted earthenware and artifacts, featuring traditional Puglian cuisine and wine tastings. • Where: Westchester Italian Cultural Center, One Generoso Pope Place, Tuckahoe, NY. • Who: Maria Cristina Marvulli, curator of the Santi di Puglia, brings a collection of 120 photographs from 10 participating renaissance and baroque towns, including Altamura, Bari, Fasano, Taranto and Trani, accompanied by a documentary film about the Saints of Puglia. This exhibit is being sponsored by the Westchester Italian Cultural Center and the United Pugliesi Federation of Greater New York. It will include a series of rare ancient artifacts and handcrafts by local artists. Highlights will include: Views of a giant pyre “Focara,” the “Days of Fire,” consisting of tens of thousands of dried vine-shoots made into faggots to fuel a massive bonfire. 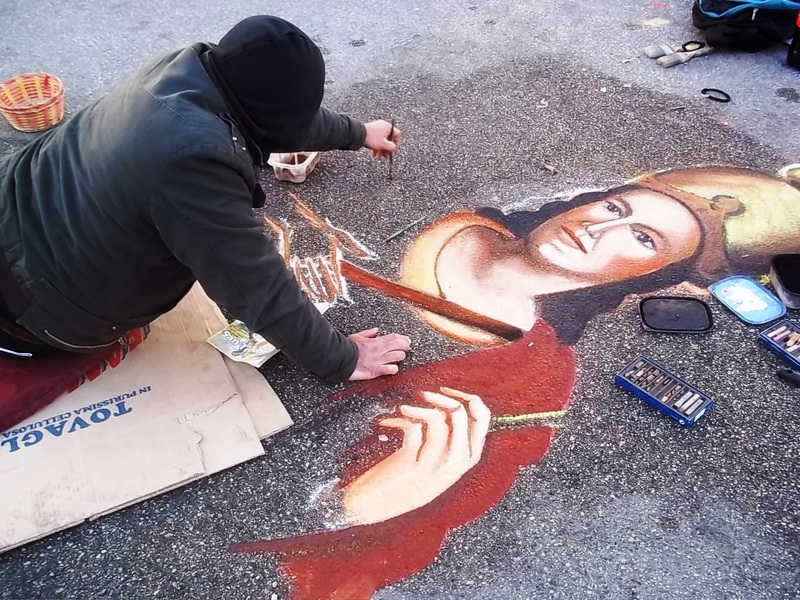 A pyramid with three giant steps that reach a height of 25 feet, embellished with papier-mâché reproductions by local Italian artisans and a screening of a new documentary “Santi di Puglia,” produced by Ms. Marvulli. Puglia – the region situated around Bari, Italy – is a land rich in history, culture, traditions and breathtaking landscapes. Once a stepping stone to Asia and a crossroad used by many cultures and civilizations, it is home to three UNESCO World Heritage sites: Alberobello, a fairytale town village, famous for the trulli medieval architecture; Castel del Monte, an octagonal architectural wonder, named as a must-see top destination by National Geographic Traveler magazine in 2014; and the Sanctuary of Monte San Michele in Monte Sant’Angelo. Registration fees: Members $15 and non-members $25. Additional information and to RSVP to the exhibit available at: 914-771-8700. 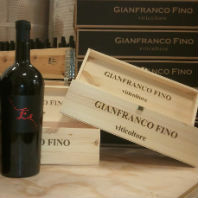 Verona, Italy (PRWEB) March 27, 2014 ‒ Vinitaly International has announced this year’s list of the Top 100 Italian wines, as chosen by U.S.-based Wine Spectator Magazine, for the third annual Opera Wine, the premier showcase for the 48th edition of Vinitaly. This year’s list includes six new producers that all hail from lesser-known wine regions ‒ Lombardy, Marche, Sardinia, Basilicata, Calabria and Puglia ‒ and strive to act as spokespersons for their respective home territories. The premier showcase for the 48th edition of Vinitaly, the world’s largest wine event with a forecasted 150,000 attendees and over 4,000 presenters, Opera Wine is a collaboration between Veronafiere and Wine Spectator that brings together Italy’s finest wine producers in a single grand tasting, to be held April 5 in the Palazzo Gran Guardia in the heart of Verona. All six of these wineries seek to act as spokespeople for their regions, spreading awareness of the great wines that can come from territories beyond the traditionally famous winemaking areas like Piedmont and Tuscany. It is not just their territories that these wineries seek to promote, but also the local grapes that have produced these exceptional wines. The Westchester Italian Cultural Center, in collaboration with the United Pugliesi Federation, is pleased to announce the opening of the exhibit “Apulia Then and Now,” an evocative journey through the heritage, traditions and flavoring of the Apulian Region. Known as “The heel of Italy’s boot,” this charming region, situated in heart of the Mediterranean, is a land rich in history, culture and traditions. It has been the bridge to the Orient since the dawn of time, and was the crossroad among different cultures and civilizations. Remains of these ancient civilizations are still visible in the Apulian countryside while renaissance and baroque art is present in the cities and villages’ historical buildings as a representation of different artistic manifestation of faith. The ancient origins of this region are enhanced by its diverse and breathtaking landscapes. This is the land of sun, sea and wind, where the rural countryside is dotted by ancient olive trees and medieval towns are built on cliffs overlooking the sea. Puglia is home to two UNESCO World Heritage sites, Alberobello, a fairytale town, where its trulli are a miracle of simple and ingenious architecture, and Castel del Monte, an impressive octagonal shaped castle enhanced by eight octagonal towers with spectacular views of the surroundings. On exhibit until June 7, 2014, are suggestive images of the feasts of patron saints, local festivals, and historical re-enactments that renew ancient customs and traditions annually. The collection, “Santi di Puglia” (“Apulian Saints”), has been curated by Cristina Marvulli with the participation of sponsoring Apulian town of Acquaviva delle Fonti, Adelfia, Altamura, Bari, Bitonto, Fasano, Novoli, Scorrano, Taranto and Trani. A collection of the famous handcrafted earthenware, “Whistles of Rutigliano,” by artist Vito Moccia, will be on display. These works of art are a testimony to how the historic craftsmanship still lives on in the splendid artistic creations made today. The photographic collection, “A Taste of Puglia,” by photographer Sabino Parente pays tribute to the beauty of this undiscovered land between the blue sky and the turquoise sea. Sabino Parente, photographer and graphic designer, was born in Bari, his highly acclaimed photo-realistic photography without artifacts won him many awards such as the “2013 – National Geographic Best of Travel 365,” photo included in the worldwide selection. Public opening is scheduled for Saturday, April 5, 2014, at 2:00pm at the Westchester Italian Cultural Center, One Generoso Pope Place, in Tuckahoe. 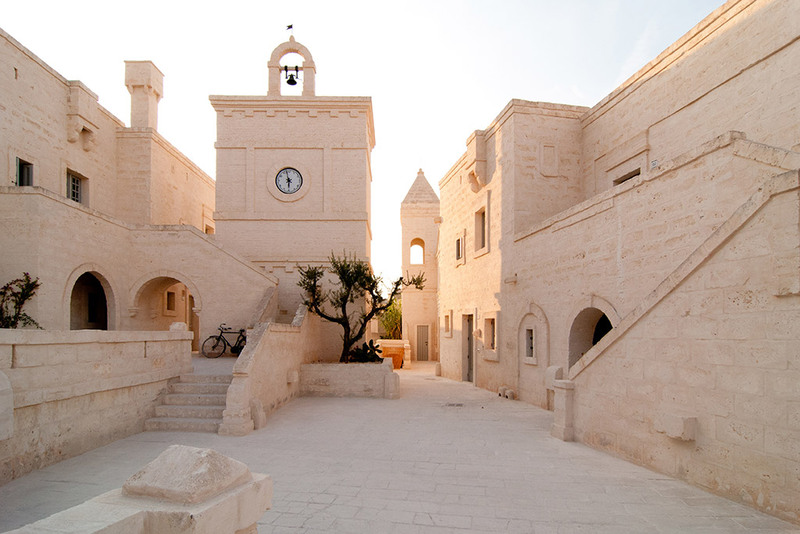 The screening of the unedited documentary “Santi di Puglia” (“Saints of Apulia”) will be presented followed by a reception with representatives of the United Pugliese Federation and participating Apulian towns. Registration is required. • “The Flavors of Italy: Puglia,” a documentary, will be screened on Tuesday, April 8, 2014 at 2 P.M. The ravine of the Apulian’s territory, full of stone settlements, fascinated Pasolini, who shot “Il Vangelo Secondo Matteo” (“The Gospel According to Matthew”).The film will be presented on Thursday, April 17, 2014 in Italian with English subtitles, with commentary and discussions led by Professor J. Spedaliere. • On Friday, April 11 at 6:30 P.M. enjoy an exclusive tasting of Apulian wines accompanied by a tasting of regional products and traditional dishes. • A cooking class and demonstration will reveal the simplicity and genuineness of the Apulian cuisine presented by executive chef Bruno Milone on Friday, May 2 at 6:30 P.M.
• The series of events will conclude on Friday, June 6, 2014 with screening of the film “Pizzicata,” a highly charged and emotional film directed by Edoardo Winspeare, where traditions, decisions, and lives of people are intertwined as they dance the dance of life. In Italian with English subtitles. Registrations are required for every program. For additional information about the exhibit and to register for programs, please contact the Westchester Italian Cultural Center at (914) 771-8700. The Westchester Italian Cultural Center (www.wiccny.org), located in the lovely Generoso Pope Foundation building at Depot Square in Tuckahoe, NY, preserves, promotes and celebrates the rich heritage of classic and contemporary Italian culture by encouraging an appreciation of the Italian language, arts and letters, history, cuisine and commerce through educational programs, exhibits and events. The Center is open to people of all cultures, and encourages the community and members to take advantage of the diverse and unique events and programs they host throughout the year. The Center provides programs that celebrate Italian culture for people of all ages, all ethnicities, and from all walks of life. For more information about the Center’s programs and events or to become a member, please call (914) 771-8700 or visit www.wiccny.org. The United Pugliesi Federation aims to foster the establishment and growth of relations between Pugliesi in the Tri-State Area, the United States and the world by improving and fostering the knowledge of Pugliesi traditions, language and culture, together with the study of the Italian language and history. For more information please visit www.upfny.org. Here’s some more favorable publicity about Puglia’s appeal to international travelers. Today’s online version of the British newspaper The Independent features a comprehensive article headlined “Puglia: The true taste of Italy” focused on the region’s culture, history, architecture and best of all the foods and wines. The writer talks about his stops in some of the most alluring places in Puglia: Bari, Putignano, Valle d’Itria, Gioia del Colle, Alberobello and Martina Franca. 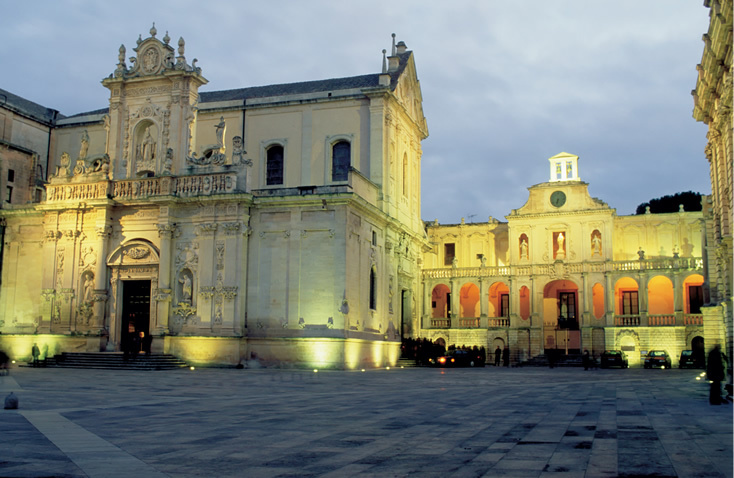 (ANSA) ‒ Taranto, Puglia, March 21 ‒ Thieves have made off with holy relics from a church in the southern port city of Taranto, police said Friday. The crime took place during the night. The culprits smashed a glass case housed in St. Pasquale Church and removed a bronze container that held fragments of the skull of St. Egidio Maria of Saint Joseph. St. Egidio, along with St. Cataldo, is Taranto’s patron saint. The theft was discovered Friday by a church priest who immediately alerted police. The Italian tourism board ENIT has just launched a marketing campaign that targets its biggest international visitor markets. 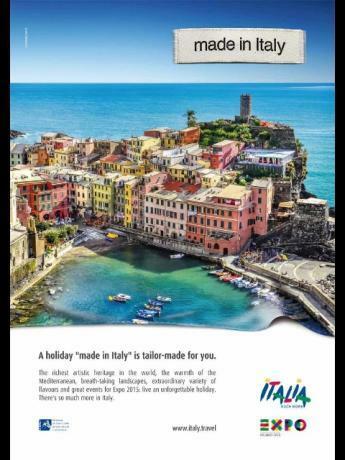 The multi-media campaign, titled “Made in Italy,” will promote ways in which foreign visitors can plan vacations that combine their individual travel tastes with Italy’s vast historical, cultural and environmental treasures. (ANSA) ‒ Rome, March 14 ‒ Italy is promoting the touristic and cultural treasures of the euro-zone’s third largest economy with a new promotional campaign targeting foreign visitors and launched today by the state tourism board ENIT. The campaign, called “Made in Italy, a tailor-made holiday especially for you,” seeks to highlight authentic and unique elements of Italy. It includes television and cinema advertisements, promotions in newspapers, magazines, on billboards and on the Internet. 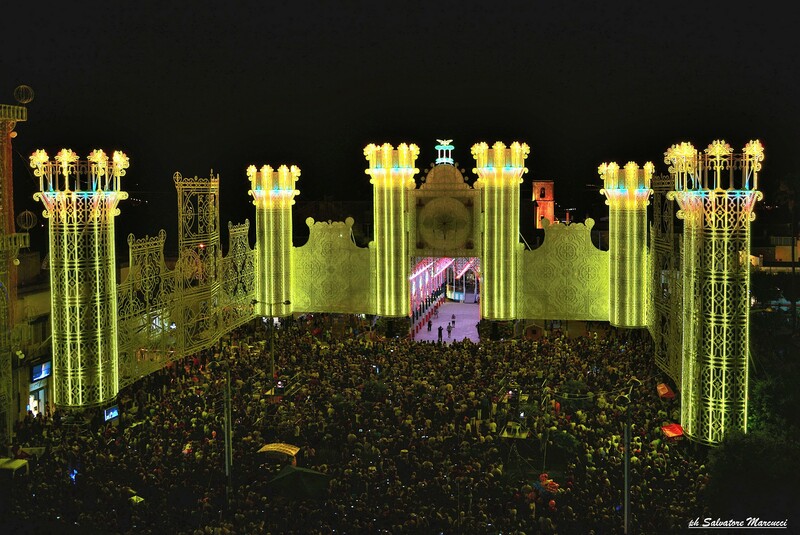 The program is being financed by some five million euros accumulated by the national tourism board. The funds “are the fruits of savings, for which we have to thank our predecessors,” said ENIT President Pierluigi Celli. Promotions will target potential tourists in the United States as well as such European markets as Germany, Austria, the Czech Republic, Poland, France, Scandinavia and Russia. These targets were selected by Italian regions, with a geographical focus on areas attracting some 50% of foreign tourist inflow bookings into Italy. The advertising and promotional campaign will be divided into various sectors, including culture and wellness, gastronomy and wine, seas and lakes, artistic cities, mountains and parks, activity holidays, and medieval village travel. A special focus will be made on the Expo 2015 event in Milan next year. The campaign could bear fruit as early as this summer “if it develops as planned,” Celli said. Click here for the entire ENIT press release in Italian; sorry, I cannot find it in English. I just read two interesting articles related to Puglia and international tourism. Check them out if you have a chance. 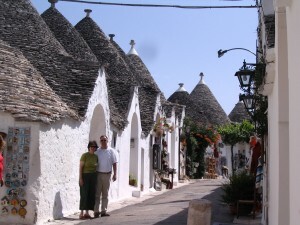 The first article, focused on Gargano, appears in the Toronto newspaper Globe and Mail and is headlined “Is This the Last Corner of Unspoiled Italy?” The article states, “Puglia does not feature in Rick Steves’s guide to Italy, even though the region has spent a decade taking steps to promote its treasures. Its major cities and towns – Lecce, Bari, Brindisi, Alberobello, Trani, Polignano and Gallipoli – are full of architectural and artistic gems, and its food and wine culture is rightfully regarded as one of Italy’s best. But even as Puglia’s popularity continues to grow (Lecce is a candidate to be European Capital of Culture in 2019), the Gargano Peninsula’s remoteness, combined with a distinct lack of sizable towns, ensures that intrepid travellers will never pass through on the way to more celebrated locales. Which is a shame, because villages such as Vico have sights as fascinating as their rusticity.” Read the entire article here. The second article, from Conde Nast Traveler magazine, is a brief report about an unusual offer from a luxury spa resort. Titled “A Hotel’s Unusual Amenity That Will Improve Your Stay in Italy,” the article introduces a concept that Borgo Egnazia in Fasano (in the photo) calls “local advisers” ‒ the resort pairs guests with area residents “who act as part concierge, part guide, part new best friend.” Read all about it here. The “Follow Your Nature” campaign highlights the area’s attractiveness as a destination for short springtime getaways centered on nature, sports and other outdoor activities. 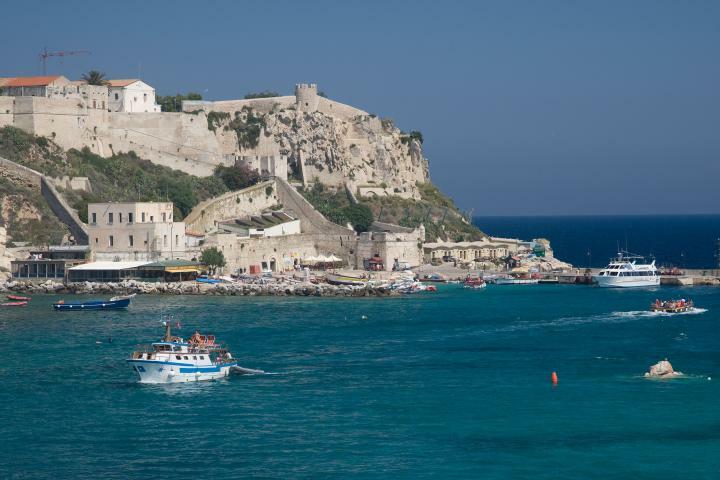 The promotion is part of the ongoing “We Are in Puglia” tourism campaign, which targets European capitals connected with Puglia: Vienna, Monaco, London, Paris, Berlin, Amsterdam, Zurich and Brussels. You are currently browsing the Puglia Connection Blog blog archives for March, 2014.